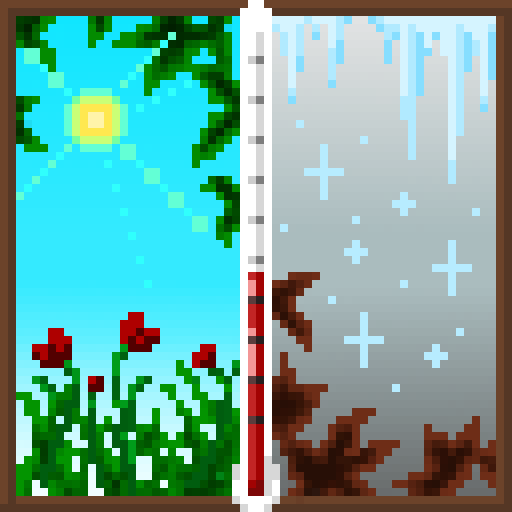 This mod is library for Heat And Climate mod. 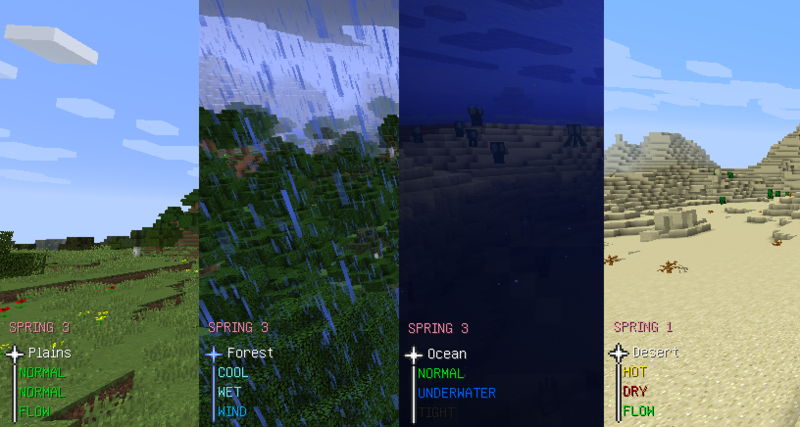 In this mod, biomes and blocks have unique climatic parameters, which mutually influence. They will bring lots of new interests and dangerous thermal damage to players. Players will resist climate threats, pioneer the world and develop technology and control the climate. The climate is defined by three parameters: Heat, Humidity, Airflow. They are not analog amount but are digitally represented by some enums. This mod does not seek for hard survival, seeks a more idyllic and peaceful life. But, if you want to remember that the humankind dies at high and low temperatures or that the humankind suffocate in the underground space, you can get it by making configuration changes. Of course, less dangerous difficulty levels are also available! This mod is made as a successor to AMT 2, and influenced by other survival mods and games (eg Rimworld and NMS). I saw the fire of vanilla and I felt doubt why I could not burn bread and meat with it. Now, I can fish, skewer, put it in a bonfire and bake it. I did it! "Enable DropItem Recipe": Drop items are affected by the climate and change naturally according to the recipe. "Enable Vanilla Block Recipe": Forcing tick updates on static blocks, causing climate change. "Enable Submerged Ocean Cave": In ocean biome, the cave with an altitude lower than Y40 will be submerged.